Hi. 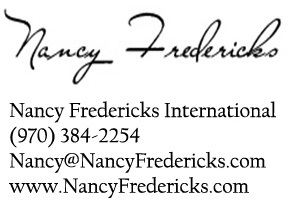 I am Nancy Fredericks. I am glad you’re interested in digging a bit deeper into Leadership for Women Only professional development program. Before we go into the detail, let me tell you a little about myself as I facilitate the program. 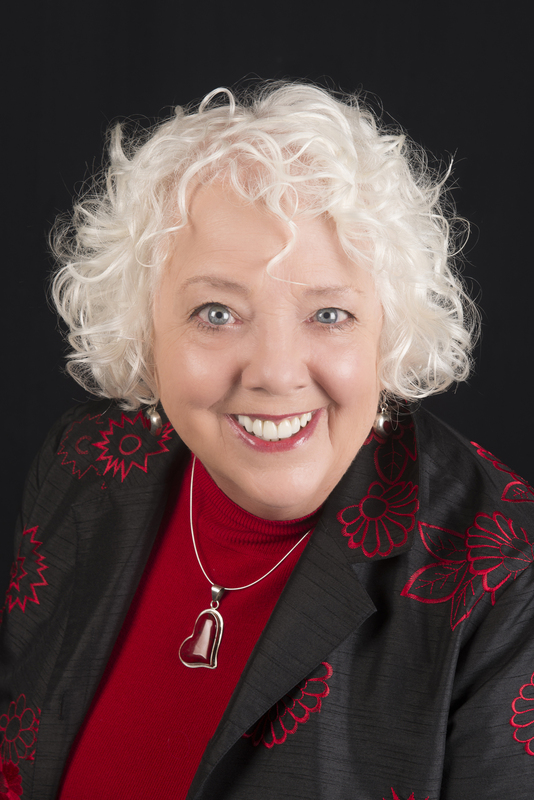 The breakthrough philosophies for Leadership for Women Only professional program draws upon my over thirty-year coaching/consulting background with both men and women. Business research, scientific brain-based studies along with focus groups all of which led to Dancing on the Glass Ceiling (Published by McGraw-Hill) and the gender-specific professional programs I lead. I am considered a pioneer in the field of gender diverse leadership issues. Now, let me tell you a little more detail about this program that will make a huge difference personally to your career. Perhaps you’re still questioning why you should be interested. After all, women certainly have made progress in today’s business marketplace as evidenced by women holding CEO positions at PepsiCo, General Motors, and other notables. Now, for the first time, women have role models as they move through the inevitable twists and turns of reaching their career destination. Yet statistics reveal that we still have a long ways to go to be contending on an even playing field. I know what you’re facing. I have spent much of my career aiding 1,000’s of women to examine how they can effectively distinguish themselves and leverage their strengths powerfully in their career! I am looking forward to doing the same for you. Why didn’t I know this already!!! I wish someone had told me these gender secrets before!! It is so obvious to me now. Why didn’t I see it earlier? The way you view your professional relationships with men can sabotage the success of your career? The way you perceive and respond to business can be limiting the success of your career? You are hiding your light under a bushel basket without even knowing it? You could rediscover and rely upon your innate feminine wisdom to propel you forward more rapidly in your career? Well, I can say all of that to you and more. My work is the foundation for attaining real authority and career mobility, which will have you achieving work that you love with less effort. I was skeptical about taking a course exclusively for women. leadership program I’ve ever attended. Do you know how your boss gauges your performance? Do you know what your boss values as most important for you to gain more recognition and more responsibility? Do you know the behaviors and attitudes that will get you rated as a high-potential employee by your organization? Do you recognize how your organization’s culture measures success? Do you know the switch points of change that are essential to move above mid-level in any organization? Do you know how to succeed at work; and also, have a balanced life? In this professional program, you’ll have an opportunity for REAL TALK in an interactive, candid, safe and open setting. I offer breakthrough thinking that will honor you as a woman; and also permit you to rely on your feminine feelings, emotions, and insights to advance your career. The breakthrough philosophies focus exclusively on the challenges and mindset of you a business woman. It’s a place where real communication begins and practical, lifelong development occurs. I have designed this program specifically to offer you a rare opportunity to look into the mindset of the business culture, your professional male counterparts, and your corporate environment so that you will be able to recognize your strengths and make choices for yourself leading to a powerful future one you design for yourself. You’ll walk away from Leadership for Women Only with tools, strategies, attitudes and skill sets that will distinguish you in the organization. The program is limited so that authentic interaction can occur. Strengthscope Assessment, which is the world’s most complete and innovative strengths assessment and development system. It will help you identify what is unique about you to produce, powerful performance insights. Three, 90-minute Group Teleconference Coaching Calls: These are vital discussions regarding what was learned, what has worked and what adjustments necessary for improved outcomes. They are dynamic calls that generate powerful conversations. And with each call, new information is brought in for fine tuning your ultimate results. Three, Individual One-on-One Strategic Coaching: You have the opportunity to work with a seasoned master who has strategically coached 1,000’s of women around the country facing challenges very similar to yours. You will be able to have the tough, real-life conversation that you’re unable to have within your organization. The only focus I have is to support enhancing your career. Each call is scheduled to coordinate with your calendar. Comprehensive Workbook as well as a copy of Dancing on the Glass Ceiling for each attendee. Relevant Video and Audio Tips are sent after the program to extend the insights acquired from Leadership for Women Only. Give Us a Call So We Can Tell You What We’re Up To and Where It Will Be Happening. To speak to me directly, call 970-384-2254. As one CEO said: You’re our secret weapon! I can identify the executives who have taken your program, by the way, they immediately start taking on true ownership for their position and the future of our organization. I hope you already chosen to join the ranks of successful women whose careers have taken a turn for the better as a result of this professional program. Don’t miss out on reserving your spot in our exclusive Leadership for Women Only one-day event. This program limits the number of attendees so that actual interaction can occur. Join other powerful, executive women. I look forward to meeting you to share the work that I’ve devoted my career. Together, we will delve deeply into areas and concepts that will have a valuable and lasting impact on your future. P.S. Additionally, if your organization has 10 or more women, who would benefit from attending Leadership for Women Only professional program, we custom-design this program as corporate events. A complete unconditional guarantee: We have such confidence in our methodology that we offer a money back guarantee. If your executives don’t receive value after fully completing this program, we will refund your money. You have nothing to lose! Imagine how you will feel when you gain the techniques to overcome the internal or external barriers standing in your way, redefine your future and have you feeling confident about your abilities—no more second-guessing yourself. I have taken a lot of other seminars and I have left very excited and motivated. But I didn’t have a process for follow through for my actions and goals and therefore, the information was quickly forgotten. The seminar was different because of the weekly coaching component. This was especially true for me because it led to a promotion and a 37% increase in base pay. I was very skeptical about the course and unsure of what value would come from it. However, after each session I found myself reflecting on the comments made in the reading material, homework, and group discussions. This self-reflection and identification of areas of weakness motivated me to want to be a more effective leader. I was thinking how much has changed in the 2 1/3 months since I took on this job and I’ve narrowed down the turning point to my attendance at your Women in Leadership seminar. I get more done with less stress than I ever thought possible. And I’ve gone from “fighting for acceptance” to assuming my ideas will be received because they just make so much sense. And it’s working! 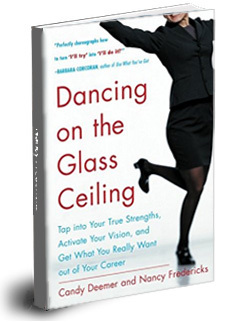 Working with Nancy Fredericks (through Leadership for Women Only and her coaching) helped me realize my blind spots and gave me the confidence to take control of my own career advancement. I continue to value her coaching to help me reach my full potential.